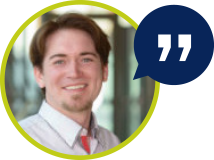 Companies require increasingly larger bandwidths and sophisticated capacity management to optimize the performance of their networks and business processes, to avoid overloads, and to save money by detecting and fixing of bandwidth consumers. The Flow technology for Juniper devices (jFlow) is best suited for this, but requires professional monitoring in order to collect and analyze corresponding traffic data. With PRTG jFlow monitoring, overload times and potential bottlenecks can be identified, and based on that data you can adjust your IT infrastructure as well as the available bandwidth. During Bandwidth monitoring via the jFlow protocol the router or switch collects data packets, groups them to flows and this information about the flows is sent to PRTG via UDP. In PRTG you can filter those data automatically by traffic type (e.g. mail, web, FTP) and immediately see which applications and devices use your bandwidth within your network. You can also turn on sampling if your router supports it. 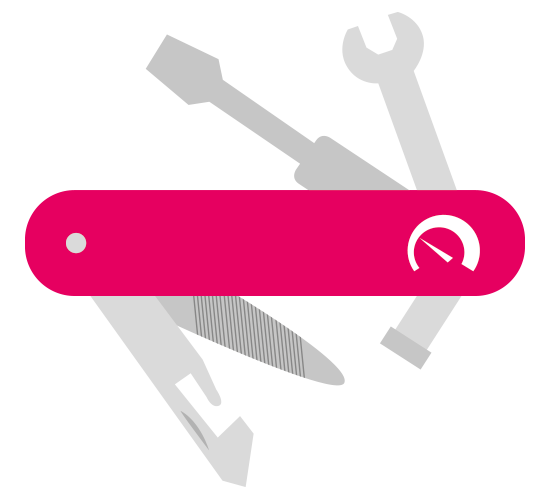 Then only every n-th data packet is sent to PRTG which minimizes your CPU and bandwidth usage. 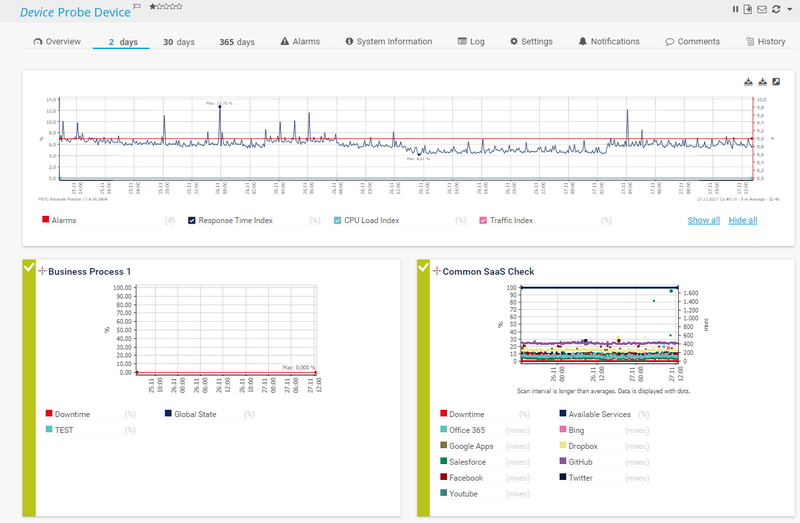 The visual presentation of the monitoring tool PRTG in top lists provides additional optimal analysis conditions: you immediately get informed by sudden increases of the bandwidth usage of a certain network address or application. 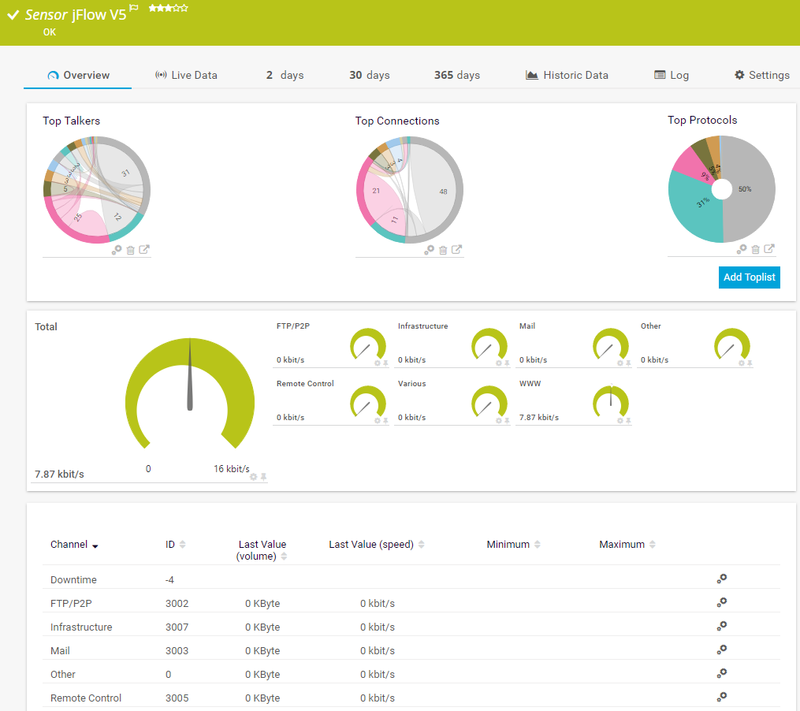 With jFlow and PRTG you get the most of your network and protection against failures. With PRTG, everyone can work with peace of mind. 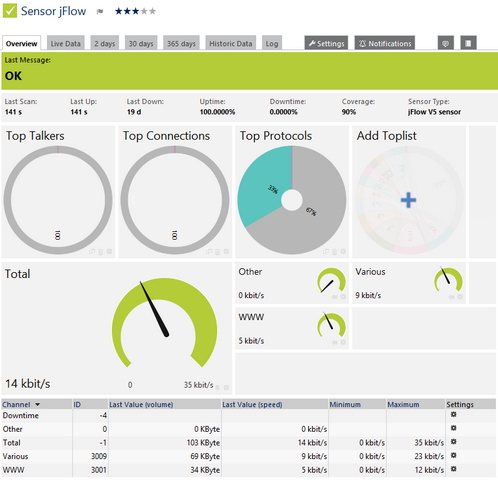 JFlow is a data flow sampling technology optimized for Juniper devices for the monitoring of computer networks. It is mostly identical with Cisco NetFlow. Bandwidth usage data is collected in the router, firewall or switch in the form of flows and is sent to the Flow Collector PRTG via UDP. With PRTG you sort the flow automatically by traffic type (mail, FTP, or WWW) and use it for statistical processing and visualization. With PRTG you detect the originators of the data traffic within your network sorted by sender/target IP, sender/target port, IP protocol, and service type. Flow technology is characterized by minimal bandwidth usage as well as a high degree of detail, and is especially suitable for high traffic networks.